From left, Staff Sgt. Bryan C. Black, 35, of Puyallup, Wash.; Sgt. La David Johnson of Miami Gardens, Fla.; Staff Sgt. Jeremiah W. Johnson, 39, of Springboro, Ohio and Staff Sgt. Dustin M. Wright, 29, of Lyons, Ga. All 4 were killed in Niger, when a joint patrol of American and Niger forces was ambushed on Oct. 4, 2017, by militants linked to the Islamic State group. 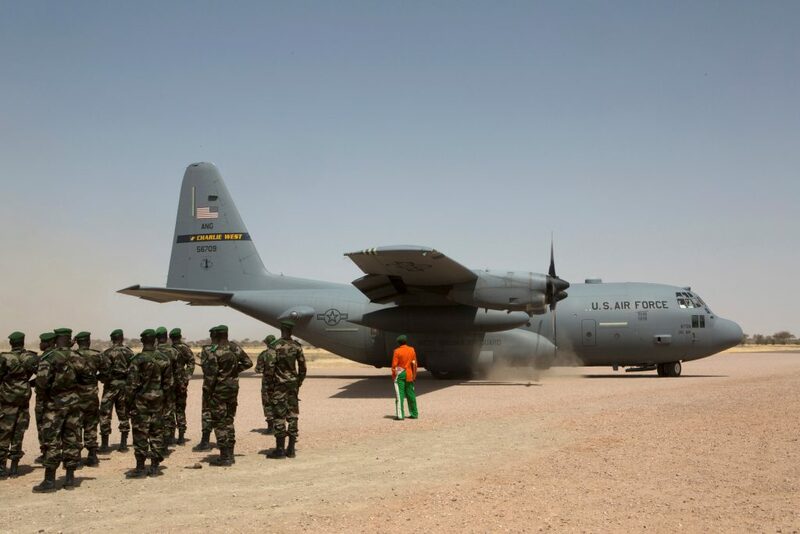 There is a draft of a report resulting from the Pentagon’s investigation into the October 4, 2017 killings of US Army special forces and fellow local soldiers in Niger during a supposedly standard reconnaissance mission. Sen General Mattis said he and the AFRICOM Commander have yet to review the report which is thousands of pages long. There will be a classified version and the one to be made public which will be finalized in a few weeks. AFRICOM said to Stars and Stripes on Monday that the investigation remains ongoing. I am thinking that this is the only ‘event’ of this kind that the public are aware of … can you imagine how many others we don’t know about? Shouldn’t it be time to get out … and let those countries be? I don’t buy the story about protecting the people there or national security!! They are there for other reasons … that’s the way this nation works! … I’m trying to be kind here!! There have to be lots of so-called incidents we don’t know about under this administration. I’m for figuring a way to get out of both Afghanistan and Syria. For me, Afghanistan is akin to the Vietnam War. Thanks a million times over for all of your gracious support and for this reblog. The Benghazi hearings led by republican congress representatives were a farce and never about the search for the truth. If they cared about a search for the truth, there would be oversight hearings happening, as we speak over what happened in Niger. I bet the report still won’t explain why we have ground troops in Africa in the first place! Are we at war? Or are they there to squash discontent among the diamond miners and keep operations going? Reminds me of US soldiers in Afghanistan guarding poppy fields so that our heroin supply won’t get destroyed by the Taliban! The sad truth is I don’t have a good handle on what we are doing there. I have been waiting on this report. This is what I am looking for to confirm the veracity of the report. Thr Nigeren man who discovered the body of Sgt. LaDavid Johnson stated in real time that the slain soldier’s hands were tied behind his back. Some news reports based on information from Pentagon sources, dispute this claim. I see no reason to doubt the Nigeren’s version. Thanks for this reference and this is a good point. 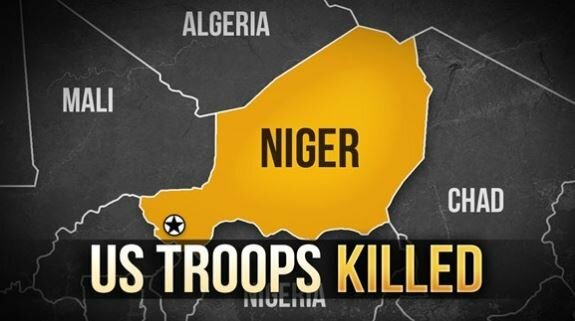 It just so happens that NIGER and CHAD have oil reserves. Exxon used to operate out of CHAD and it still has a lease good until 2050. Exxon was under a suit by CHAD for unpaid royalties and past due taxes which was settled around June 2017. Nigeria and Libya are the biggest producers of oil. That’s an excellent observation, i think you nailed it! And thanks for the elaboration Gronda, makes perfect sense.